silver mountain hay, originally uploaded by jahansell. This grand barn was recently built in Millerton - the inside is even more spectacular. A bit different that the barns I see in Sweden. This one has much more fine details, and I like it. 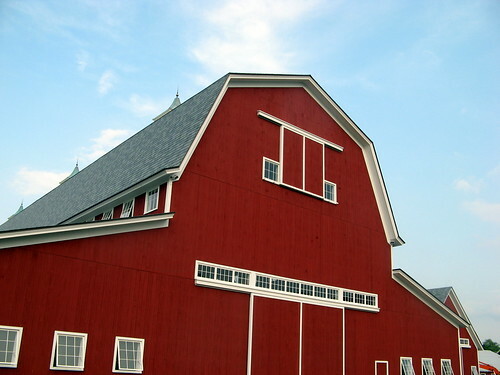 What is it with red for barns. I adore the colour just curious.